The Brookes Lincoln straight stairlift is one of our best-selling stairlifts due to the fact that this stairlift has fantastic reliability and extremely low maintenance. Built to last the Brookes Lincoln straight stairlift runs on maintenance-free DC power packs which are recharged automatically. 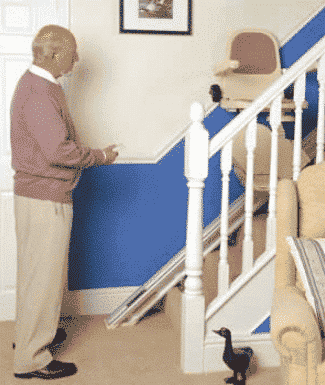 This means this stairlift is incredibly safe to use and provides excellent performance. DC power (operates even in a power outage). Small footprint – just 11″ depth when folded. Smooth starting and stopping action. Electromechanical braking (no unexpected jolts). Simple design for quick installation. Weight capacity up to 20 stone. 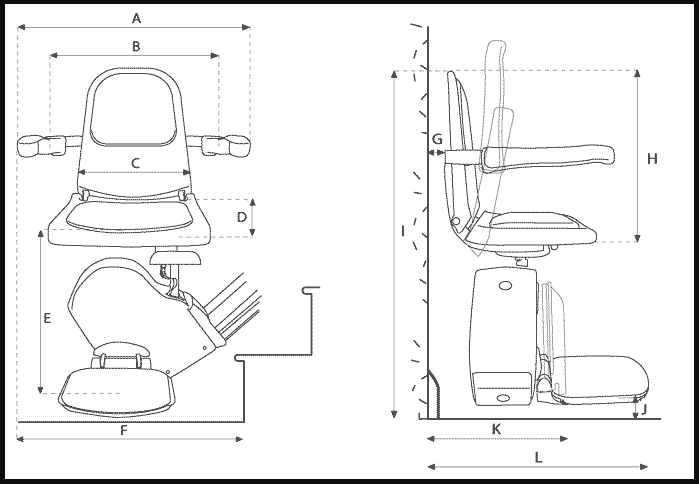 The seat on the Brooks Lincoln straight stairlift has been designed for comfort and practicality. The seat, arms and footrest all fold neatly upwards, leaving a very small footprint of only 11″ depth. This means that when the stairlift is not in use it does not obstruct your stairway. 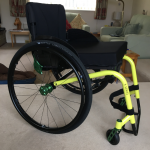 Furthermore, the Brooks Lincolns’ seat has the ability to turn and lock in a 45 or 90-degree position meaning you can get on and off the stairlift safely and with ease. The Brooks Lincoln stairlift is also fitted with 5 safety sensors as standard (3 on the footrest and two on the seat) so if there is anything or anyone obstructing the movement of the stairlift it will come to an immediate stop. 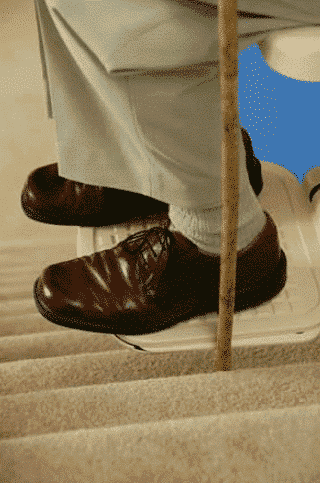 The brooks Lincoln stairlift has incredibly simple and intuitive controls. 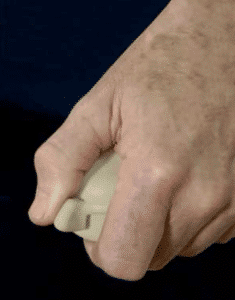 The joystick is simply pointed in the direction you want to go and that’s it! This stairlift also features full wireless remote control so the stairlift can be ‘sent’ up or ‘called’ down remotely. The Brookes Lincoln straight staircase has one of the best build qualities of any stairlift available today. 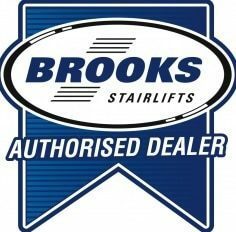 Designed and manufactured in Great Britain since 1972 the Brookes Stairlift Company were the first company to make stairlifts in the UK and are renowned for their high reliability, design and build quality. 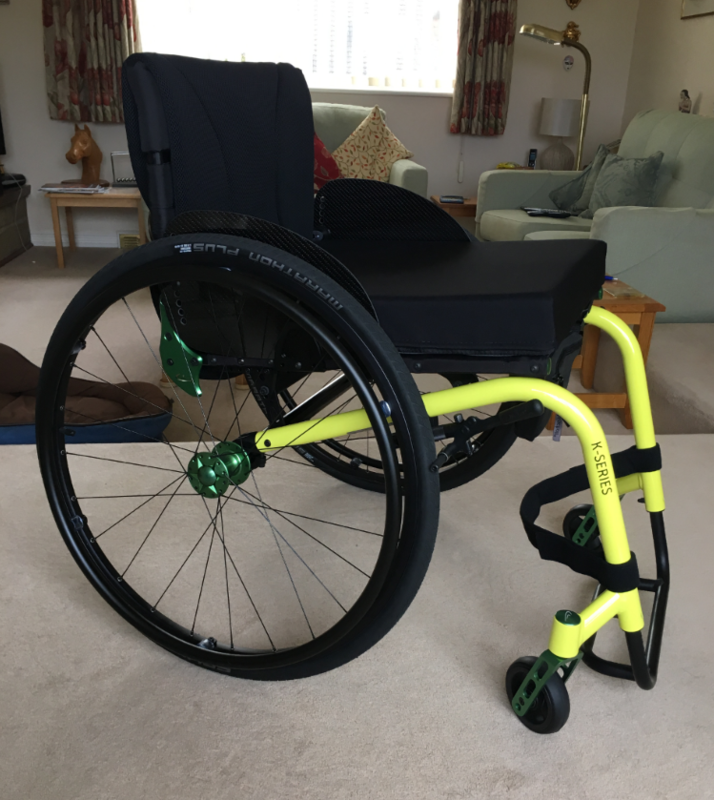 The Brookes Lincolns’ operation is super smooth and whisper quiet and runs on DC power on a highly durable rail. Due to the advanced technology and sensors, this staircase provides one of the smoothest and quietest rides of any stairlift available today. 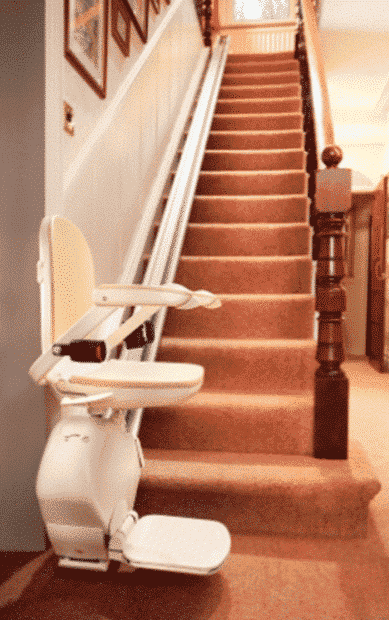 Easy Mobility Services have a team of highly trained engineers who will be able to install your stairlift in just a few hours and will leave your home clean and tidy following the stairlift installation. Before the installation, we will discuss with you all the options you can have and answer any questions or worries you might have about having a stairlift fitted in your home. We appreciate having a stairlift fitted in your home is quite a big decision and that’s why we want you to be completely happy and confident before the stairlift is installed. If you would like to know more about having a stairlift installed in your home please read our guide to stairlifts or simply call us and talk to one of our friendly advisers. We also have working stairlifts available for you to try out at our Colchester and Braintree mobility shops in Essex. All Brooks straight stairlifts are guaranteed for a period of 12 months from the installation date. The guarantee covers you for all mechanical failures through defects in the manufacture of the straight stairlift.